A scarcity of affordable housing is a dilemma most New Yorkers will be familiar with; however, the absence of affordable housing for artists threatens to impact New York City on a greater scale than any of us might realize. Documentarian Alice Elliott’s new film Miracle on 42 Street, making its World Premiere at DOC NYC, examines the great impact that one building in the 1970s, Manhattan Plaza, had on the lives of so many notable artists and performers. The reach of one building is astounding and illustrates the many ways that affordable housing is about more than who can live where, but what people with lower incomes can bring to a community. I spoke to Alice Elliott about her new documentary, the need for housing for artists, and then generosity of the interviewees she contacted. What’s it like to have the World Premiere of your film, which is so closely tied to New York City, at a premier New York City festival? It’s so exciting because, first of all, I’ve worked on Miracle on 42nd Street for many, many years. It’s a subject near and dear to my heart, it’s about affordable housing for artists. Here, it’s a key issue. How are we going to keep the vitality of New York City alive and include artists in our base? Affordable housing for artists is a key issue right now. Your film talks to a wide range of celebrities whose lives were impacted by affordable New York City housing (Larry David, Terrence Howard, Alicia Keys), how were you able to track down these people and find the connections they had to the building and recruit them for your documentary? Because the building is full of performing artists and performing artists tend to stay connected to each other, the lines of connection are still there. Many people’s relatives, grandmothers, parents all lived in that building. 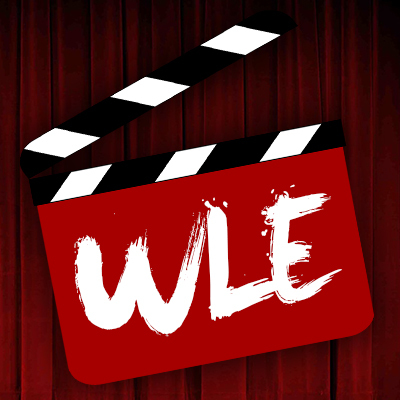 We also had two amazing producers who were casting directors in Los Angeles. They both were able to get their start because they lived in Manhattan Plaza. They knew which agents to call, they knew how to put that into the process, and what was amazing is that every single person we asked, including Larry David, said yes. They realized how important living in affordable housing had been to them. It made them able to start their careers, to not spend their first six years being waiters. That they were able to jump right in and do some of those productions that nurtured them and gave them a network. I think Samuel Jackson talks about being able to have a group that he traveled with and that was the same group that moved out to Los Angeles and continue to support each other. They become a family of artists. Chazz Palminteri serves as the documentary’s narrator, how did he end up becoming involved in your film? Chazz is another gift from our wonderful producer. She had a long-standing friendship with him. A friendship that went back so many years that she was one of the first people that cast Chazz that could see his potential. Because he’s a standup guy, he remembered that. It was a very busy time for him, his Broadway show “A Bronx Tale” is open, and he was very busy, but he made time for us. I remember when we were doing the voiceover, him saying, “I’m supposed to be with [New York State Governor Andrew] Cuomo now.” And I thought, “Oh no! We have eight more lines. Please, please, please stick with us. Just a few more minutes.” He made Governor Cuomo wait so we could finish the voiceover. He’s just a really great guy that he wanted to return this favor. Over and over we found that in this film that there’s a kind of – I don’t know if you want to call it karma – but good energy. You pay it forward. Positive debt! What a great expression. I’m going to use that. Why do you think it’s so vital to provide affordable artist housing in a community? I think in the film you’ll see Rocco Landesman, former chair for the National Endowment for the Arts; he said that “Artists create real product.” It’s not just some fancy thing. We make a comfortable place for people to be in the evening. A perfect example is Rahway, NJ, which we also show in the film. Every time there is an event at the large theater, the restaurants in town triple their income on those nights. The value is economic as well as the many cultural values. You want to attract people who are interested in art, in music, in literature. You want to attract those people to your town. Often those are the very high earners, the very creative people. And you want them there in order to create business, to create an environment that favors education for your children to grow up in. There’s actual statistics that prove the value of artists to a community and how much a theater generate aside from just ticket sales. I think that point has been proven, but we also have seen this now in little towns around the country. We also go to Ajo, Arizona, which is a very, very small town, but it’s becoming a magnet that draws people to it [since the introduction of an artist’s colony]. There’s a place called Minot, North Dakota. It has, I think, seven apartments for artists. In Ohio, downtowns are being revived by putting in this loft space that’s very desirable. One of the important things is that the buildings be owned by artists or be managed by an arts-based organization so that we don’t create a situation where artists make the community safe for other people and then have to move because the rents go up. This is a real principle now of artistic pioneering. It’s also a way of being very inclusive. You’ll notice there’s a whole generation of African-American artists who were able to start their careers. And the amount they’ve given back! What has Alicia Keys given back to our economy? It’s just phenomenal. And she’s an amazing person because she also had a foundation that’s helping girls in Africa, so she’s been able to flourish. She says in the movie, and it’s one of the most moving points to me, she looks at the camera, and she says, “we need more places like this so people like me can have an opportunity.” That’s so humble and honest. Your film also highlights a large diversity of people that this community has affected over the years. Was that an intentional effort by you or did that occur more naturally? I’d say it was very organic. As I observed this, I began to get the larger picture. That this really is race-neutral. It’s talent based. You can’t have talent flourish without opportunity. What do you value about a festival like Doc NYC that brings together so many documentarians and fans of documentary? It’s just a gathering. I’m in such honorable company. People who devote their lives to social justice, to telling difficult stories, to going to places that are forgotten by the rest of the world. People giving a voice to voiceless people. It’s just a thrill. I teach documentary also at NYU, so my students are coming, it’s a very exciting opportunity. Thom and his curators do a wonderful job of looking [for great films] and balancing [the choices]. That’s the other thing when I looked at the catalog. It’s so great that we can go to these [documentaries about] very eccentric individuals and then we can go to [other films about] large-scale interests and problems in the world. There’s something for everybody. 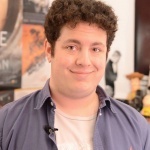 Zachary Shevich is an Internet content creator, writer and video producer from the New York City area with a passion for American independent cinema as well as assorted hot sauces. His work has appeared on MovieTickets.com, as well as in Time Out New York, WeGotThisCovered, and WayTooIndie. Zach runs the YouTube channel MultiplexShow.